- "I am living a dream I never want to wake up from." - "I would be very proud if, one day, I'm held in the same esteem as George Best or David Beckham. It's what I'm working hard towards." 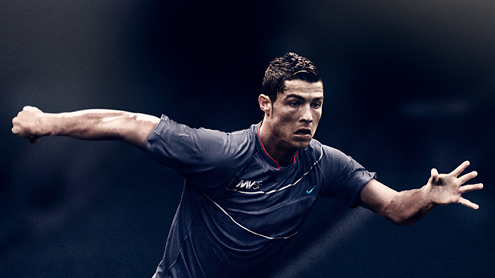 - "I've never tried to hide the fact that it is my intention to become the best." - "There is no harm in dreaming of becoming the World's best player. It's all about trying to be the best. I will keep working hard to achieve it, but it is within my capabilities." - "It gives me the happiest feeling in the World. I just love scoring and It doesn't matter if it's a simple goal from close range, a long shot or a dribble around several players, I just love to score all kind of goals." - "I have a few tricks and dribbles which I use a lot and when I am playing well, it is natural that they become easier. But the tricks I use are the ones that will hopefully benefit the team. What I do as an individual player is only important if it helps the team to win. That is the most important thing." - "My free-kick secret? 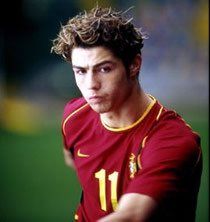 I just look at the net and say 'Take the kick, Cristiano.'" - "But I don't want to be compared to anyone – I'd like to impose my own style of play and do the best for myself and for the club here." - "I feel I have grown up. I am a man. It's important in my football too. When everything is good, I don't think you grow up fantastically, I think maybe you need a few problems to grow up. It is good if people in England have started to admire me. I think I have changed a little since the World Cup. I am stronger with my mentality and with my game as well." - "I want to be one of the best players around in two or three years time, to be a decisive footballer." - "I am not a perfectionist, but I like to feel that things are done well. More important than that, I feel an endless need to learn, to improve, to evolve, not only to please the coach and the fans, but also to feel satisfied with myself. It is my conviction that there are no limits to learning, and that it can never stop, no matter what our age." - "I don't think about one trick or the other, they just happen." - "Some fans keep booing and whistling at me because I'm handsome, rich and a great player. They envy me." - "I don't understand referees. It appears like some players can't even be touched, but in my case, everyone can hit me as hard as they can." - "The one thing that I really dislike, is being alone." - "When I win awards, I think of my father." - "When my family isn't alright, I get restless. It just doesn't seem right to me." - "If we can't help our family, who are going to help?" - "We should make the most of life, enjoy it, because that's the way it is." "I remember the first time I saw him play. It was for a Sporting CP youth team. I told my assistant, 'There goes Van Basten's son.' Ronaldo had great technique. He stood out." - "We've had some great players at this club in my 20 years, but he's up with the best." - "After we played Sporting last week, the lads in the dressing room talked about him constantly, and on the plane back from the game they urged me to sign him. That's how highly they rated him." - "He's six-foot two, brave as a lion, strong as an ox and quick as lightning. If he was good looking, you'd say he has everything." - "The kid makes you sick. He looks the part, he walks the part, he is the part. He's six-foot something, fit as a flea, good-looking - he's got to have something wrong with him....Hopefully he's hung like a hamster! That would make us all feel better!" - "When Ronaldo gave that little wink everyone interpreted it that he had got his team-mate sent off. You felt then that he would become a much criticised figure. But that's not really what happened. So for him to overcome all of that and emerge as one of the players of the season is quite a remarkable achievement. He is a phenomenal talent. He has tremendous pace, he goes past players and he has added the ability to shoot. He can also pick out team-mates. There is not a lot he cannot do now. I believe his game has improved immeasurably over the past couple of seasons." - "He's a gift from heaven, he is truly a gift from heaven. Whatever he touches turns to gold." - "When you've got a player who does what he does at that pace this late in the game than you know you've got an invaluable talent." - "I'm running out of words to describe this lad." - "There have been a few players described as the new George Best over the years, but this is the first time it's been a compliment to me." - "The great thing about him, is that he will not quit." 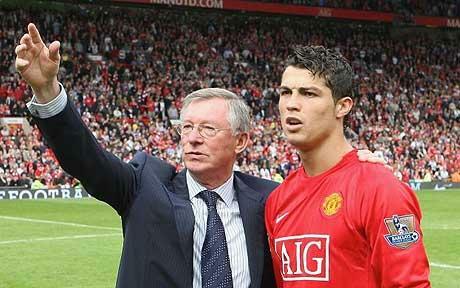 - "Everyone went crazy about Wayne Rooney, but I get more excited by Cristiano Ronaldo." - "We saw that he plays with his heart too. He obviously loves the game so much and was distraught to lose in the final. Seeing him cry nearly got me going too." - "He does things I have never seen from any other player and it really is marvellous to watch. It takes a great player to grab the bull by the horns and make things happen, but he has done it repeatedly. He has been even better than people here thought he would be and that's saying something." - "He is as tough as anything. You can crack him once, but he won't let it bother him. He's back on his feet in no time and getting on with it. He is a strong character and a great sight when he's heading for goal." - "For me, he is an exceptional player." - "Cristiano Ronaldo is better than George Best and Denis Law, who were two brilliant and great players in the history of United." - "He's a technical footballer who is quick and brave too. He is not intimidated by the other players around him. A lot of people maybe thought he was too young for the jump and he was destined for a place on the bench from the start. But he has shown that is not the case and has taken advantage of his chances. I thought asking Cristiano Ronaldo to wear David Beckham's number would be too much, but I hope things continue to work out as they have so far." - "Ronaldo can do whatever he wants as a footballer. There are some things he does with the ball that make me touch my head and wonder how he did it." - "Cristiano Ronaldo is the best player in the Premier League and in the whole of Europe. The things I have seen him do since I have been in Manchester have been incredible, amazing. It is just like a total show in training and even in the matches. This kid will one day arrive at the very top in the world of football, if he isn't there already, because he makes the most difficult plays look easy." 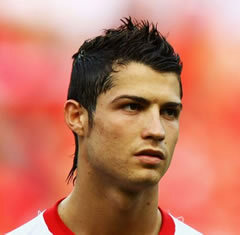 - "I have now played with both, Cristiano Ronaldo and Ronaldinho. And Ronaldo is top in Europe at the moment. Both of them in the same team would be like a bomb. It would be an incredible spectacle for the people. What's more, I am totally convinced the two are able to play in the same side." - "English fans love spectacular players like Alan Shearer and that is exactly what United have now signed. He has magic in his boots. The first thing you notice about him is that he is incredibly quick and very, very powerful for such a young man. He has great, close control and his technique is excellent. He believes he can do anything with the ball, and that confidence makes him very special indeed." - "When you see someone like him coming on, with his great pace and desire to take someone on, it is a boost." - "Cristiano Ronaldo can do things that no other player can do. Now he needs to learn how to play that position right. Because the way United play, as a winger you need to work hard and get into all the right positions. When I came into the team I used to sprint back to help the full back, but that had been drilled into me from the youth team. Ronaldo never grew up with that. It's hard for him, I think, because he wants the ball all the time. Sometimes, as a winger, you don't touch the ball for five minutes and you have to rely on others to give it to you, and that's hard for him." - "When Cristiano Ronaldo gets the ball, you can just leave him to it while he beats player after player." - "I have never played against anybody like that in my life and I was pleased to be taken off." Have you picked your favorite quotes already? 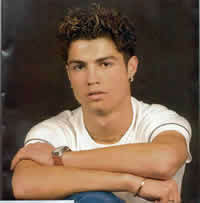 Do you know about other good quotes regarding Cristiano Ronaldo? Let us know below, through the comments box.